It has been busy around here lately. With our Dead Weight screening being held at Screenland Armour only a week prior and wanting to devote all our promoting efforts to that, I decided to show a classic at our first Monday Czar event. There are plenty of people who have never seen any black & white horror flicks. There also happens to be quite a few good ones that are public domain, like House on Haunted Hill, Carnival of Souls and Night of the Living Dead. Which means anyone can screen it for free! 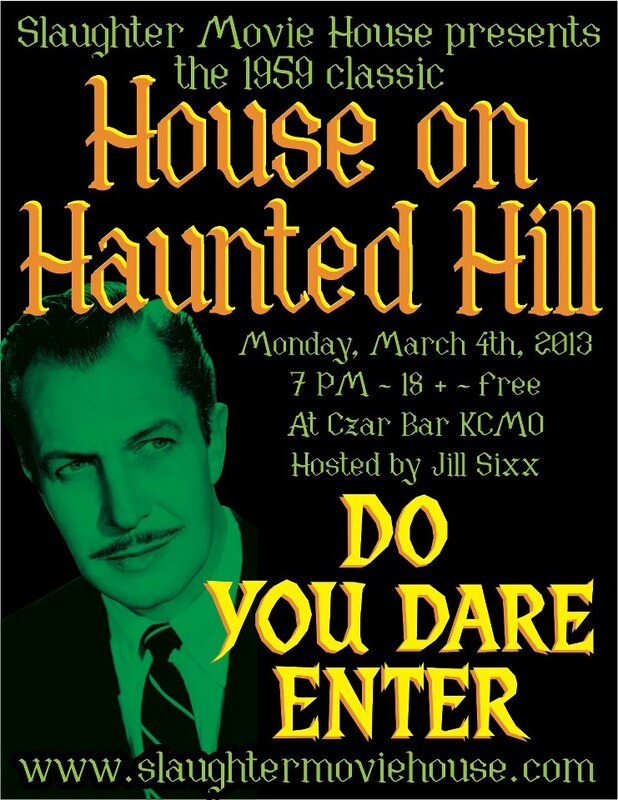 Our next event at Czar Bar is Monday, Arpil 8th and we are screening Girl Gone Dead and Popularity Killer (short).